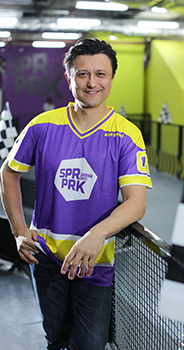 SuperPark from Finland today (16 December 2017) opens the all-in-one indoor activity park in the world in Hong Kong as the brand’s first outlet outside of Europe leveraging the affluent city’s keen demand for family fun and entertainment. Fetching a 45,000 square foot site on the ground floor of One Silversea near Olympian City, SuperPark Hong Kong will bring joyful play to Hong Kong people of all walks of life, offering over 20 fun, healthy and energizing activities under one roof. Following the authentic SuperPark concept, SuperPark Hong Kong will feature three areas: Adventure Area, Game Arena and Freestyle Hall. At SuperPark Hong Kong, children and youngsters at heart will be inspired to try out a wealth of new sports and activities. All activities take place under the guidance of experienced staff, many of which are recognised coaches. SuperPark, an all-in-one indoor activity park, first opened in Vuokatti, Finland in 2012. There are currently 11 SuperParks in Finland. Its goal is to share the sheer joy of movement and play with people of all ages and fitness levels. Invest Hong Kong is the department of the Hong Kong Special Administrative Region Government established in 2000 to attract foreign direct investment and support overseas and Mainland businesses to set up or expand in Hong Kong. It provides free advice and customised services to help businesses succeed in Hong Kong’s vibrant economy. For more information, please visit www.investhk.gov.hk. For an event photo, please visit: www.flickr.com/photos/investhk/albums/72157661614861407.